Many women ask if antibiotics can disrupt the menstrual cycle and make it difficult for them to conceive. There are no data, however, that suggest this can happen. On the other hand, there are studies that indicate antibiotics can interfere with male fertility. Antibiotics are among the most widely used medicines. They include those used to treat infections of the reproductive tract in women and men. In many cases, it is the underlying reason for treatment, such as a sexually transmitted infection, rather than the antibiotic itself that is the cause for a problem with fertility. The concerns women express include the possibility antibiotics might make it harder for them to conceive by interfering with ovulation, the menstrual cycle, or implantation of the embryo. As a background, some antibiotics appear to affect how the liver interacts hormones in birth control pills, which might limit their effectiveness. However, there are no known effects on the hormones of the menstrual cycle or the processes of ovulation or conception. Many common prescription medicines and recreational and illicit substances are known to affect both female and male fertility. Of the studies on the effects of antibiotics and other prescription medicines, there are fewer done on female than male fertility, according to a 2013 review in Reproductive Biology and Endocrinology. On the question of the effect of antibiotics on female fertility, as shown in Table 1 of the review, there are no reports of a negative impact. 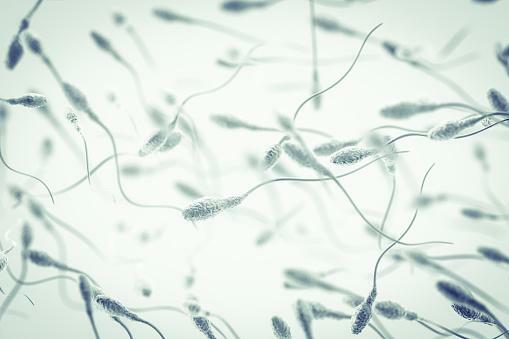 However, several antibiotics have been shown in studies to interfere with male sperm factors. The Reproductive Biology and Endocrinology table summarizes the findings of studies on antibiotics and sperm parameters. Many of the most commonly used antibiotics, such as Penicillin G, ampicillin, tetracycline, and erythromycin, can adversely affect sperm and therefore male fertility. The antibiotics cause a decrease in sperm production and motility and likely the percentage of viable sperm. The effects appear to be reversible once a man stops taking the antibiotic. If you are having trouble getting pregnant, be sure to let your doctor know partner is taking antibiotics or other medicines. Many antibiotics are safe to take during pregnancy, but women are also concerned about whether there is a risk to their baby if they conceive while taking an antibiotic. If you are still taking certain antibiotics before you realize you are pregnant, you might be at increased risk for an early pregnancy loss. A study published in May, 2017 in the Canadian Medical Association Journal found several classes of antibiotics, such as the penicillins, tetracyclines, cephalosporins, and sulfonamides, were associated with an increased risk of early miscarriage. Antibiotics are essential for treating infections. For couples trying to conceive, this is even more vital if there are infections that affect the reproductive tract. If you are trying to conceive, you and your doctor have to decide on the necessity for antibiotic treatment versus the risk to your partner's fertility and to your early pregnancy.